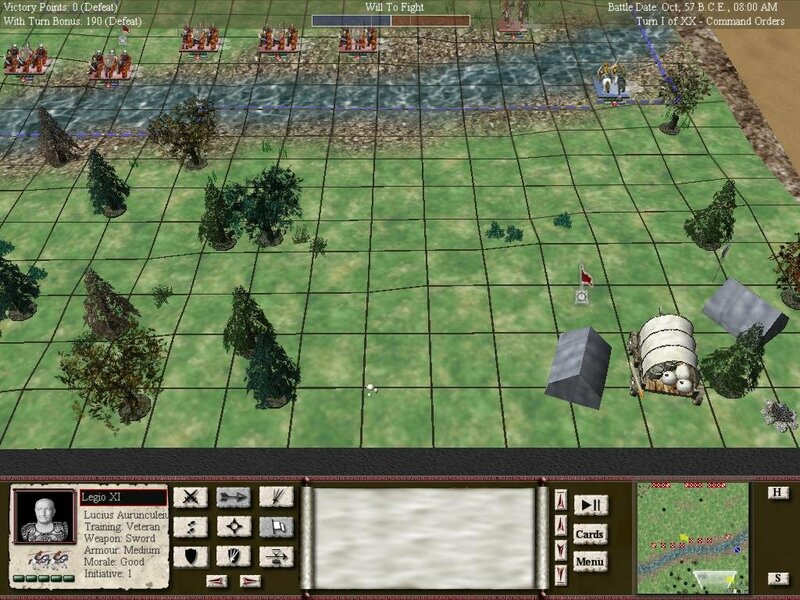 Before computers became the medium of choice for armchair generals, the only place to relive the battles of the distant past was on your tabletop. Some of these wargamers preferred to buy miniature soldiers, paint them in bright colors, and then set them against each other on a matted table with Styrofoam trees. Now you can have most of the fun of miniature gaming without actually buying the miniatures. 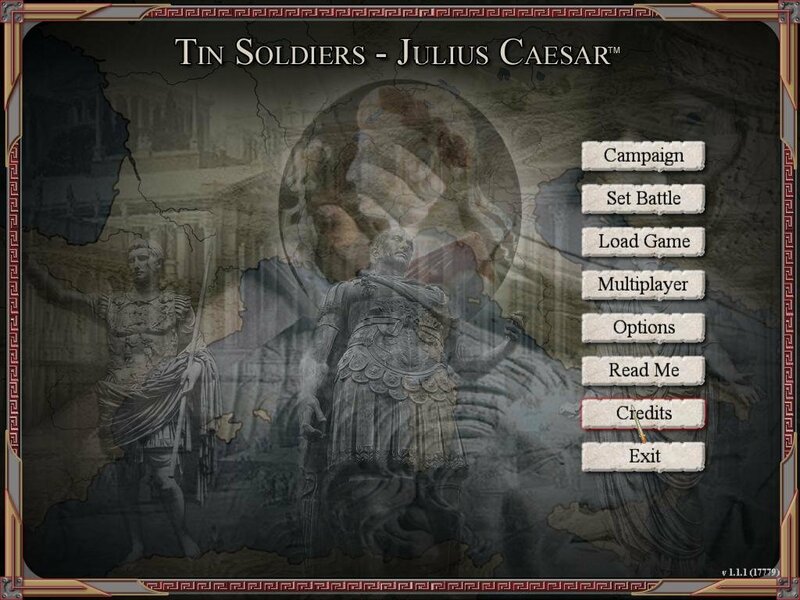 Koios Works’ Tin Soldiers: Julius Caesar is the second game in its ancient miniatures series (after Alexander), and it captures the experience of tabletop wargaming with a few major limitations. 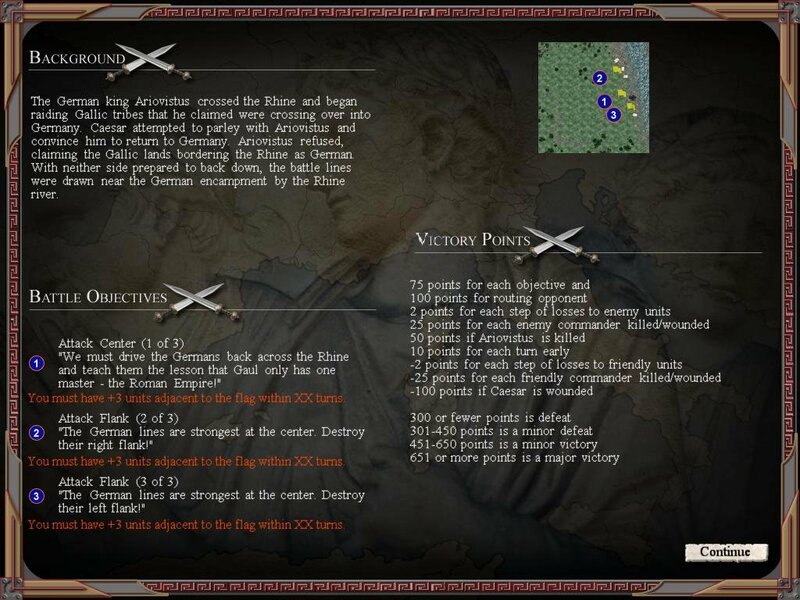 You have complete command over the legions of Caesar in his battles from the Gallic War and the fratricidal Civil War against Pompei and the Senate. You can play these in a campaign system or as set piece battles detached from the need to acquire experience and prestige. The tiny soldiers look like well-painted miniatures, and a disembodied hand descends from the sky to remove the dead. The tabletop feel is consistent, and the game itself is a nice mix of traditional tactics and card gaming; you can boost your chances of success by playing the appropriate card at an opportune time. 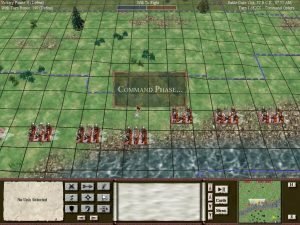 Turns are carried out simultaneously, so you need to plan ahead based on where you think your opponent is going to be and not simply react to the current set up. 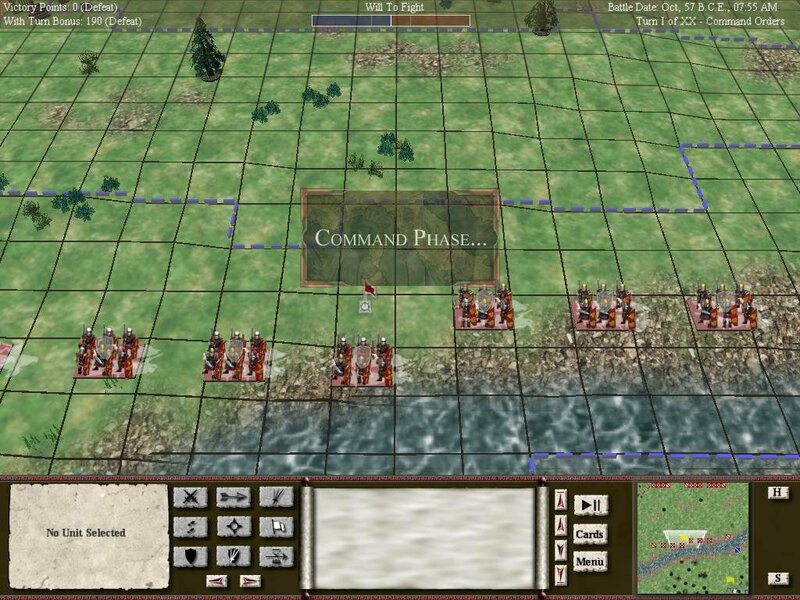 If you send your cavalry charging towards an opponent who will not be there by the end of the turn, you’ll be wasting a turn, and every one is critical in meeting your objectives. 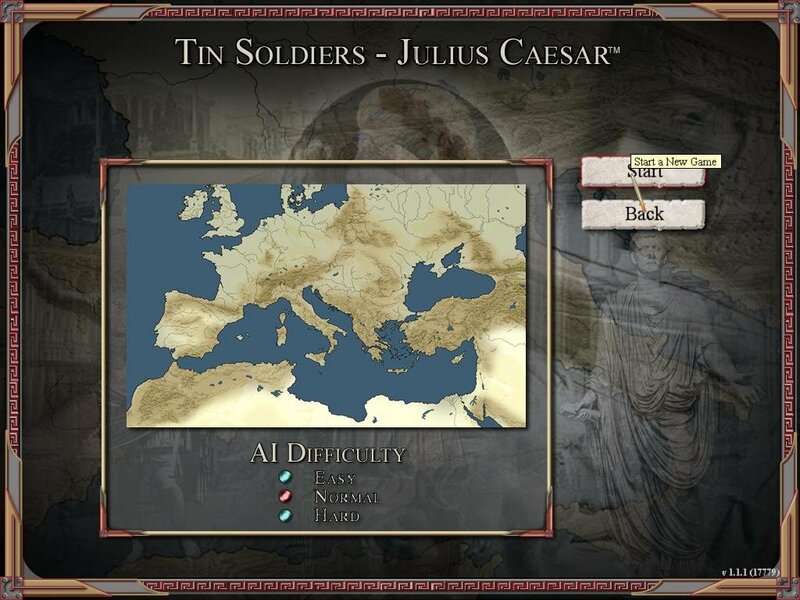 You cannot play the opponents of Caesar unless you play multiplayer. 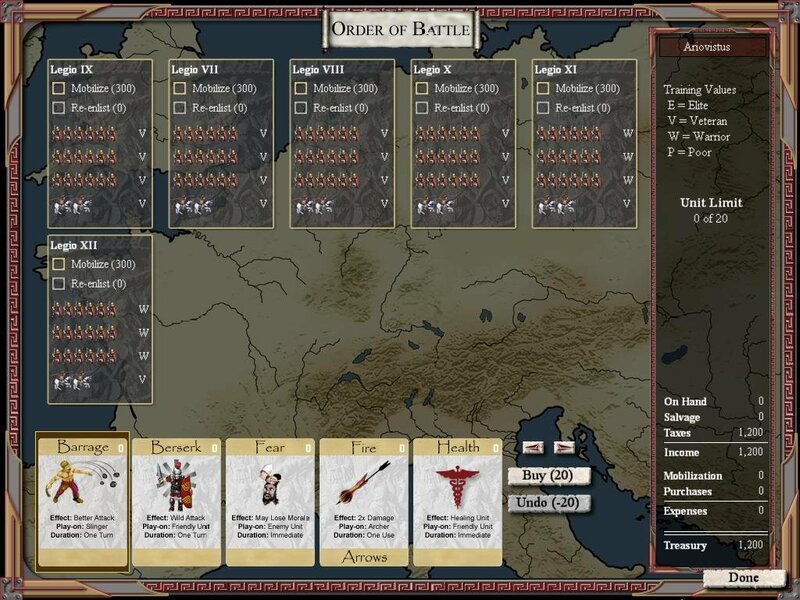 This is an interesting design choice held over from another Tin Soldiers game – Alexander, but it’s hard to justify in the end. 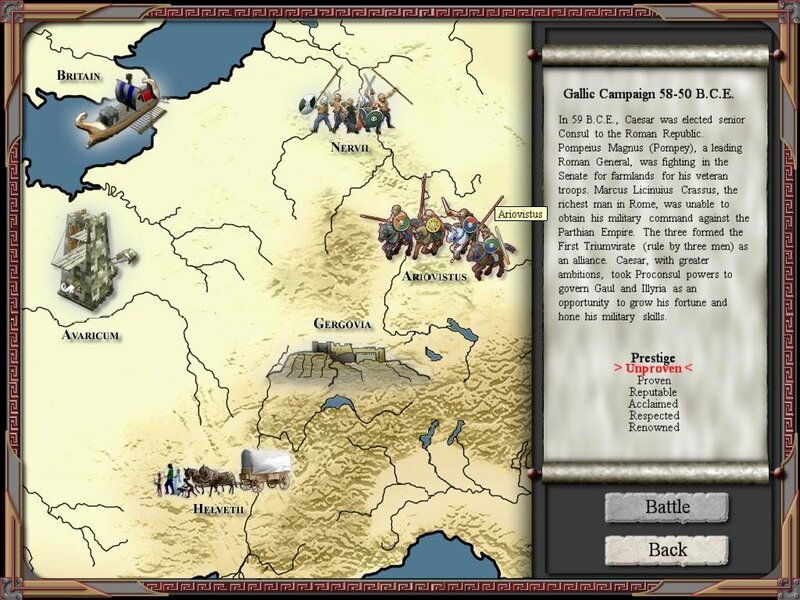 The inability to stand up to Roman rule at Alesia or punish the outlaw general at Pharsalus limits the replay of Tin Soldiers and forces you to seek out someone else if you want to lead the hordes of Gaul. 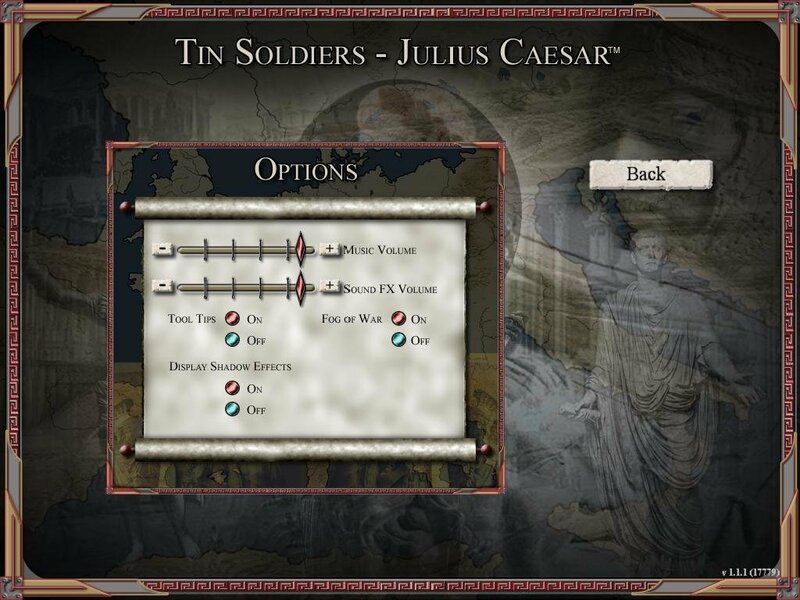 At least Julius Caesar does allow you to play the battles outside of the campaign—Alexander didn’t—and this improvement alone is enough to suggest it to wargame aficionados. 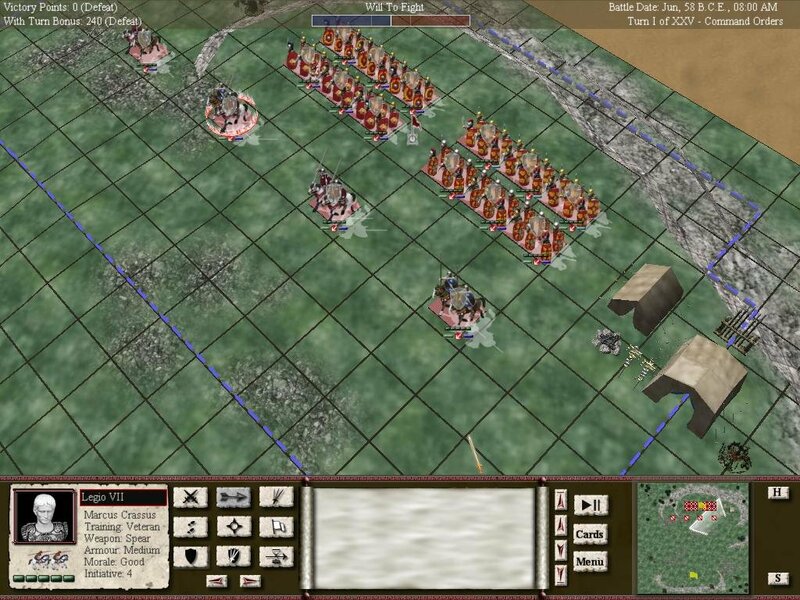 The battles reflect the historical reality, though the commanders’ names do not, and even the easy battles are hard fought affairs. 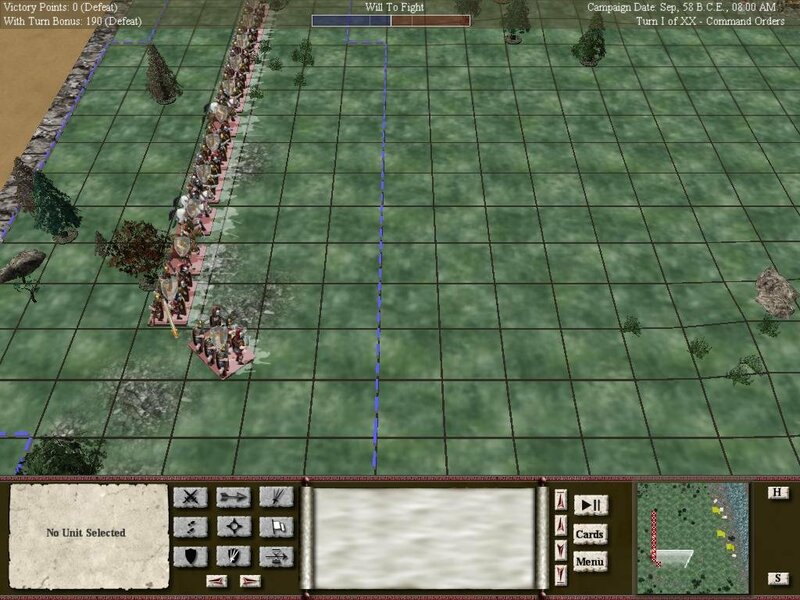 Koios Works is building the best ancient wargames since the Great Battles series of the late nineties. They just need to give the other side equal time.